Well I've been reading a lot even if I haven't had time to review everything. I wanted to share my thoughts and continue a log of sorts of what I've been reading. I especially wanted to get this down as I'll be on vacation next week and didn't want these to fade from memory too much. Don't worry about my absence as I have plenty of posts scheduled for my time away, which includes an author guest post. As you'll see below I'm still avoiding books over 500 pages at the moment. I've definitely been in the mood for lighter reading fair and that will probably continue for the next couple of weeks. 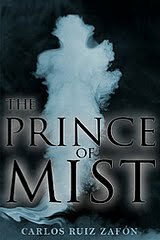 The Prince of Mist by Carlos Ruiz Zafon - This is the first book Zafon ever wrote, which also happens to be a YA book. You can definitely see how The Shadow of the Wind developed from here. The prose isn't nearly as beautiful, but accomplishing that would be difficult given the intended audience. YA books just don't stretch your vocabulary as an adult book intends to do. Still it was a very fine read that I recommend all Zafon fans seek out. The ending was a bit off, but the first two thirds built up well. I'd love to hear thoughts about this one from someone who hasn't read The Shadow of the Wind to see what an outsider without the high expectations gets from it. Zafon's publisher Little Brown is planning on releasing his other two YA books a year apart. The Mirrored Heavens by David J. Williams - Recommended. Full review to come. 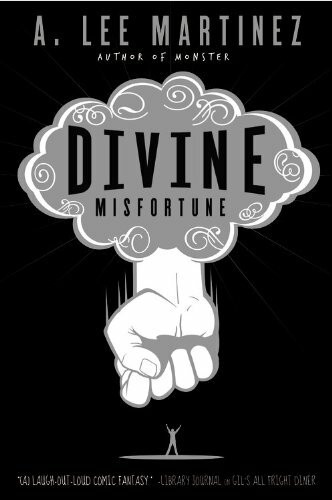 Divine Misfortune by A. Lee Martinez - Yet another great comic romp. Martinez is solidifying his place as one of American's best Speculative Humorists. The ending was a bit predictable, but I can overlook that for the entertainment value as Martinez's baggage-laden gods show how truly gone wild they are, especially after being invited into someone's home. In some ways this is a humorous version of Gaiman's American Gods that doesn't take it self too seriously, but using gods little used in literature elsewhere. Highly recommend for those looking to laugh. Strata by Terry Pratchett - An okay read that I was expecting more out of. Definitely not the Pratchett we've come to know and love. This was him striving for more of a hard Sci-Fi story. While it does the science part fine the characters were difficult to care for and a section at the beginning of the main journey bothered me in its execution. 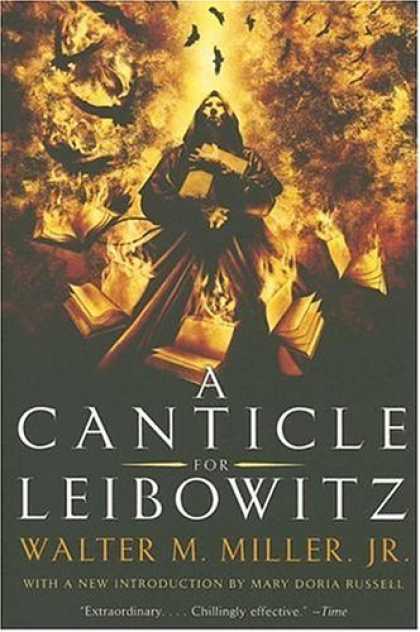 It is a good read to see the evolution of the idea of a disc world, but I prefer other early Pratchett such as The Carpet People and The Bromeliad Trilogy. A Canticle for Leibowitz by Walter M. Miller, Jr - I thought I had read this years ago, but I think I might be mistaken. Either way I doubt I would have appreciated it as much in the past. This is a classic not to be missed by anyone. The third section lost me a little as it feels a little dated, but the first two are timeless and amazing in their style and execution. This story is a forbearer to so much Apocalyptic fiction it is scary to think where that subgenre would be if it had never been published. The Goon Vol. 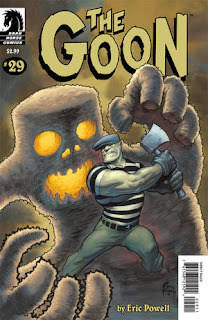 1 through 5 and The Goon: Noir by Eric Powell and others - I am officially addicted to this truly awesome graphic novel series. I'd rank it close to Hellboy in terms of quality of art with the cover paintings being especially grabbing. 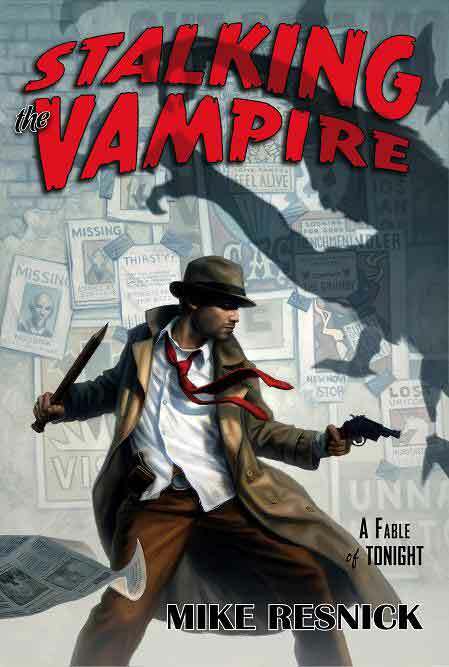 The stories are pretty darn good as well as the mob muscle/anti-hero known as The Goon battles a Zombie Priest and his hordes. With each passing chapter The Goon gains unexpected complexity, but it is the all out fights you'll stick around for. He combats a mad scientist, werewolves, mutants, and a host of other creatures. All in all it is a great mix of 30's Noir and the paranormal with a deep humor bent that can border on the inappropriate. Highly recommended. Swords and Dark Magic edited by Lou Anders and Jonathan Strahan - Highly recommended. Full review to come. Stalking the Vampire by Mike Resnick - The second in the John Justin Mallory series of uber hard-boiled Detective stories in an alternative Manhattan infested with creatures of myth and legend. The story moves along at a quick pace, but some of the repetitive dialogue between certain characters was tiring. This mostly had to do with Mallory and his cat-girl protector Felina arguing about what she is going to eat. Still I like Mallory and his no nonsense attitude plus their are loads of funny lines between other characters. Recommend for those looking for a light read with some laughs. I had only scanned Shadow of the Wind, so when I reviewed Prince of Mist I had an idea of the writing style but wasn't familiar with the whole plot development other then what I heard. So I had no major expectations going into Prince. I felt it was a good YA book, but something adults would quickly tire of. The writing was very poetic and pretty but I think the content and "scary" factor wasn't there for the adults who are used to other novels. The ending was a bit off but I believe there are 2 more books in the series so in that sense it fits. @Cindy - That sounds about right. I knew there were more books coming but hadn't realized it was part of a series. It's very unclear in the US book and even the marketing they did that it was a part of the series. I'm not even sure the next 2 books are even signed by the publisher. I finally had a little time to look into Zafon's other YA books. His US publisher has signed both September Lights and The Midnight Palace. Palace should be out in 2011 and Lights in 2012. Palace looks to be unrelated to The Prince of Mist, but Lights also involves a lighthouse like Prince did so that could be very well connected.